Comments: One of the best plants to attract hummingbirds and butterflies. Low growing, spreading habit of growth. Does exceptionally well as a container plant in bright, sunny places. The flower is red and purple and resembles a bat face when examined fairly close-up. Fertilize several times during the summer months. 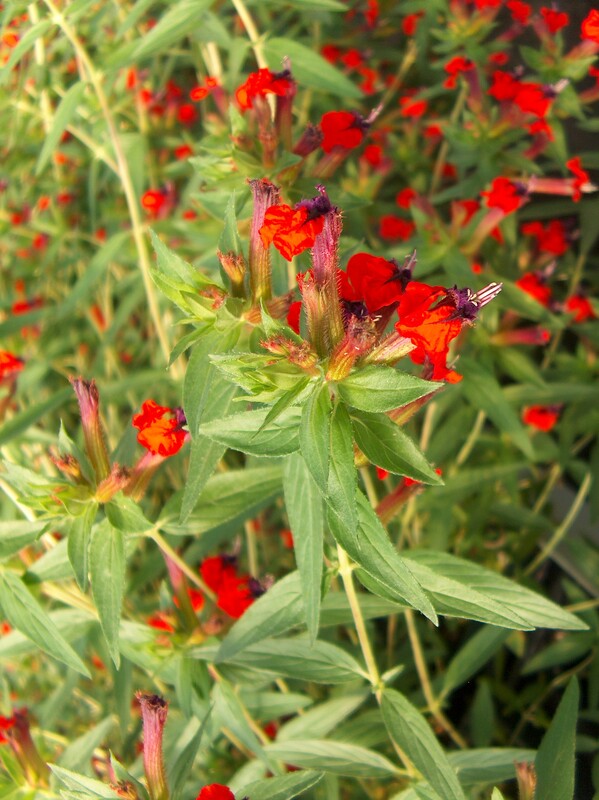 Produces striking red flowers over an extended period during the warm months of the year.